To view your orders, you would select the Orders button. Your Orders page will show up with a number of tabs, including Unfulfilled, Open, Closed, Unpaid, Cancelled, Abandoned, and All. By selecting the Unfulfilled button you can view the orders that are finalized and processed. By selecting the Open button you can view orders that are still open and need to be processed. By selecting the Closed button you can view orders that have been closed. By selecting the Unpaid button you can view orders orders that have been paid. By selecting the Cancelled button you can view the orders that have been cancelled. 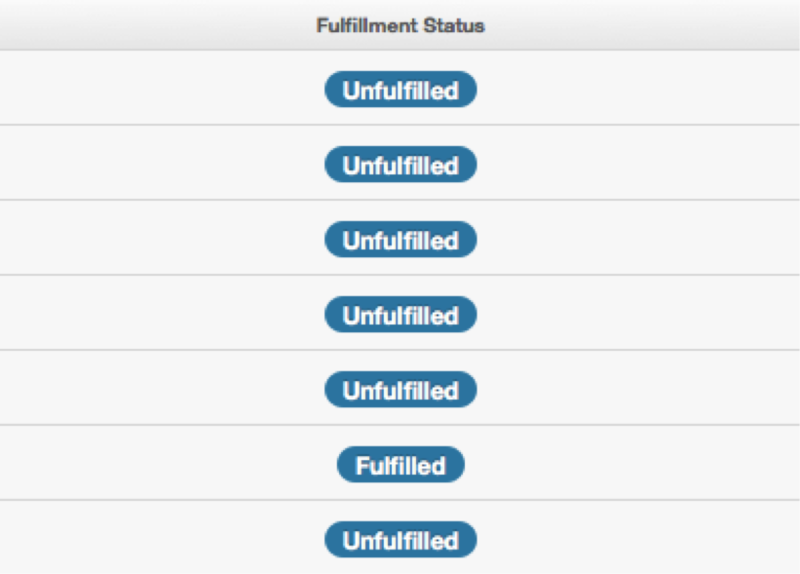 By selecting the Abandoned button you can view the orders that have been left in the cart but haven't been submitted. If you select the All button you can view all the outstanding orders. An order will be pending and unfulfilled until you approve the order. Then, will the order be submitted for processing. By selecting the Order # you can see outstanding orders waiting to be fulfilled. Select the # to view the order in full.